Seagrave’s design was brilliant – even by today’s standards. Over the decades it was developed further by Los Angeles Ladder Company, and has been continually refined by Alaco. 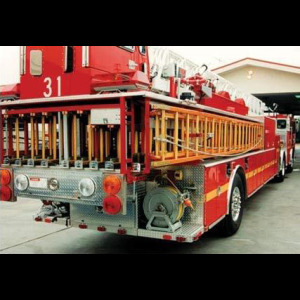 Constructed of Douglas Fir, Oak and Hickory woods with precision steel fasteners and hardware, Alaco Ground Fire Ladders are widely used by major Fire Departments and Agencies throughout the Western U.S. and beyond. Deep history, experience, engineering expertise and precision manufacturing capability enables Alaco to create some of the finest and most dependable Wood Ground Fire Ladders available anywhere.